Baby Sea Lions. How cute! 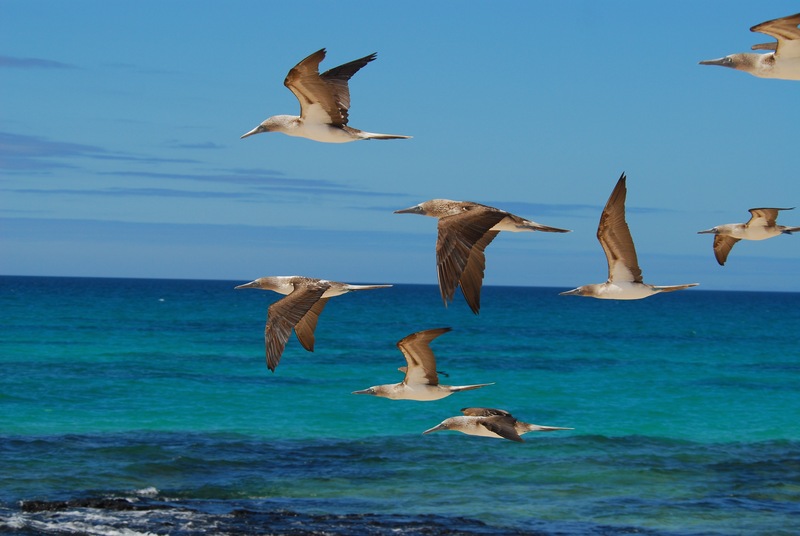 As many of you know, I spent two weeks in Galapagos Islands this past September. Not my first choice of vacations but it can’t always be about me. The five I was traveling with were beyond excited. What do I know? That’s why I jet off to Boston given a chance. 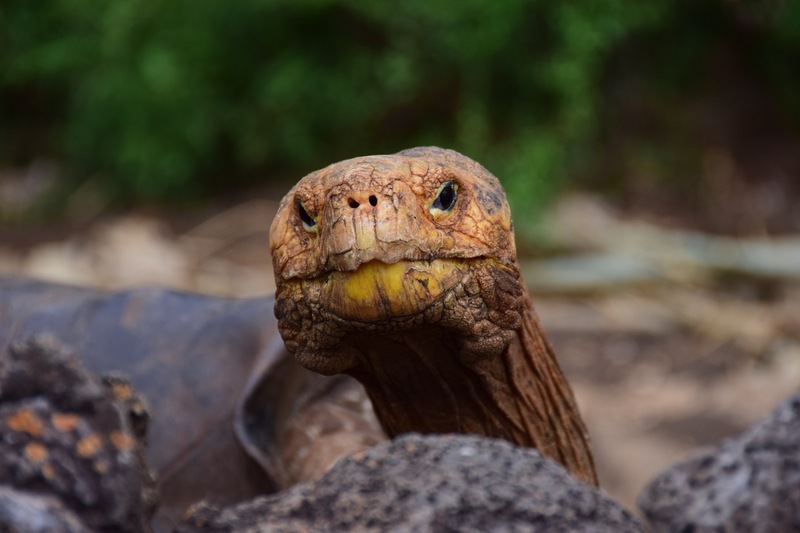 Galapagos turtles look too much like Star Trek villains. Caution – Photo Geek content. I took around 1200 pictures, Digital film is cheap. I bought me a new Nikon D5300 for the small size and I really needed the WiFi and GPS. Really. And I wanted to carry a third type of battery. Problem was I ended up mostly using my trusty old Nikon D80. My preferred lens, the AF VR-Nikkor 80-400mm does not have an internal focusing motor. That would be the AF-S VR-Nikkor 80-400mm. And at $2600, I was prepared to compromise. As we all know, smaller Nikon D-SLR’s starting with the D40 require AF-S lenses with internal focusing motors while the larger D-SLR’s have the focusing motor and can use older lenses. At 43 oz., it was also as big a lens as I wanted to carry. I had a 70-300mm and an 18-200mm lens but the additional 100mm made a huge difference. I got pictures that others didn’t. That’s why I’m sharing. 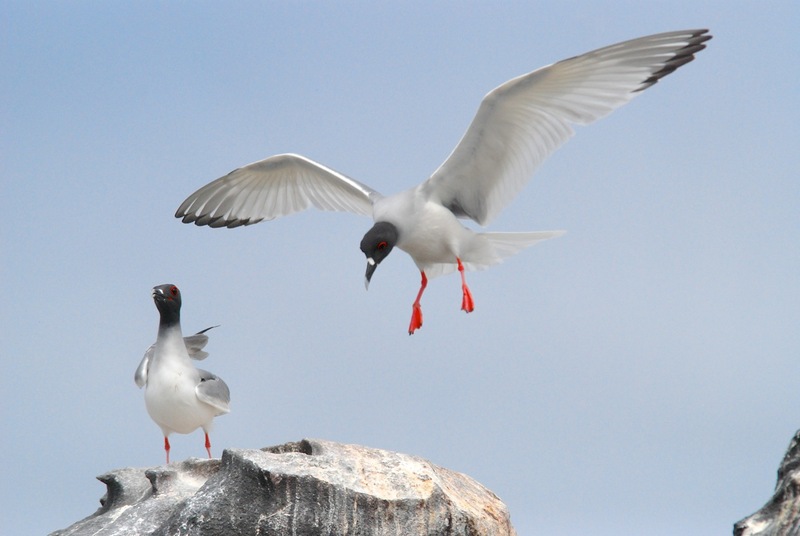 Gulls! 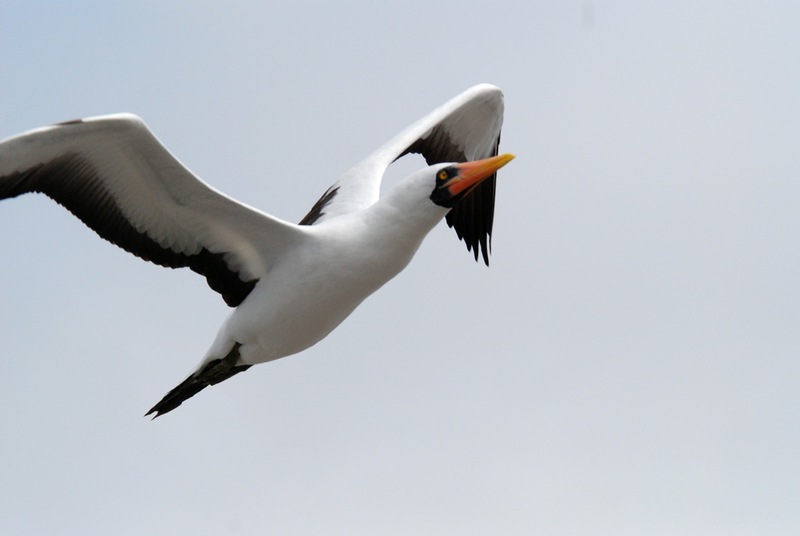 It had to be gulls. One day at sunset, there were wave after wave of gulls flying by at below dune height. In my twisted mind, I thought of planes flying to Berlin in WWII. They just kept coming. And shortly before we left for the day, the reversed their flights. 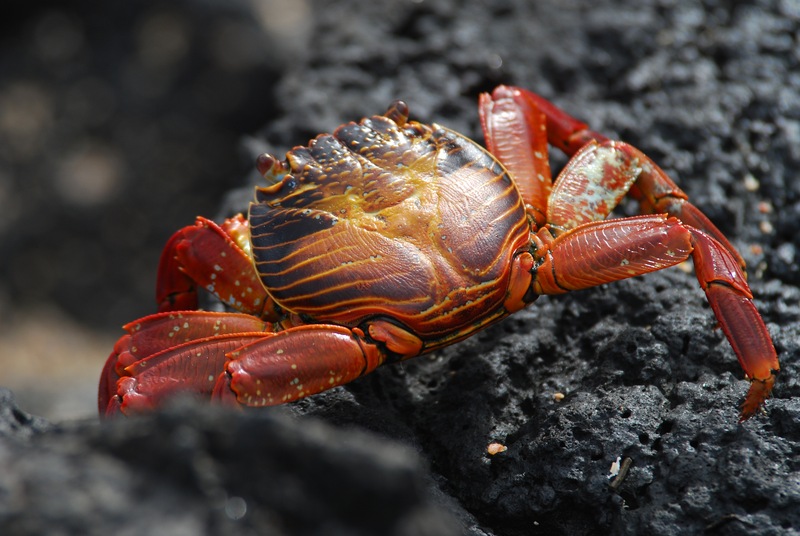 There were these amazing crabs. The shore was covered with them. Not being hunted there, the creatures are rather blasé about us. We were required to stay 6′ from them but the creatures haven’t read the same manual. We had to come up with passive/aggressive ways to get them off of the paths. And the turtles, just forget about it. And I have lots of flight sequences. There are too many pictures in these sets. They were made for the 20 passengers and 10 crew on the boat. Being there, the pictures mean different things to them then they do to you, my loyal readers. If I were do a presentation, I would reduce the sets but they are there to look at until you are done. 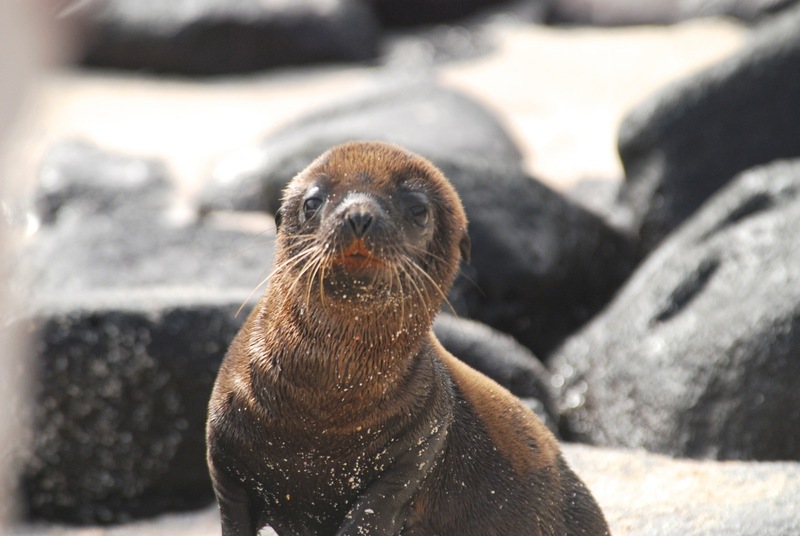 Click HERE to see Set 3 of the Galapagos beasts. Click HERE to see Set 6 of the beasts. And to see all picture I have on Flickr, click HERE to see all my sets and look to your heart’s content. Just don’t tell me I’ve got too many pictures. I know and it doesn’t matter. pan·der – ratify or indulge (an immoral or distasteful desire, need, or habit or a person with such a desire, etc.). WTF? Justin Bieber, arrested? OMG!! Doesn’t quite sound right. I don’t think I want to go there. Never mind. It won’t happen again. Promise. There are an estimated 7,143,560,739 people in the world. Too big a target. There’s only around 317,441,983 humans in the US. Based on my circle of acquaintances, it is safe to say around half of these are serious woodworkers. (Ever been to a Woodcraft when they’re having their bag sale?) Based on my average US views, I am only reaching about 0.00002929% of my possible readers. (Per capita, I’m huge in New Zealand.) I must do better. 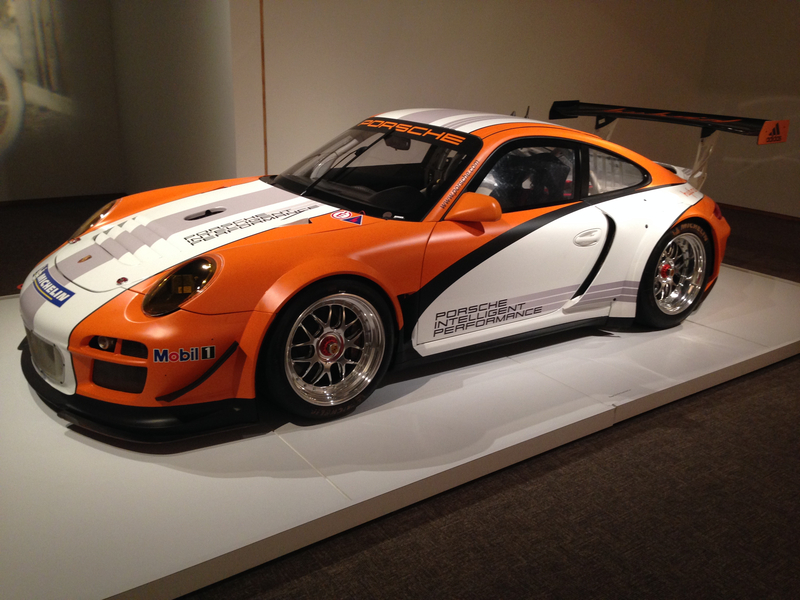 To that end, I present Porsche by Design, a display of 22 Porsches at the North Carolina Museum of Art through February, 2nd. Not much to do with woodworking but everything to do with design. I went back there a second time to take pictures for you, my readers. You’re welcome. Much of Porsche’s 70 plus year history is represented in this exhibit, from a 1938 Type 64 Berlin-Rom Racer to their 911 GT3 R Hybrid Race Car Prototype. 911 GT3 R Hybrid Race Car Prototype . Mileage still isn’t all that great. 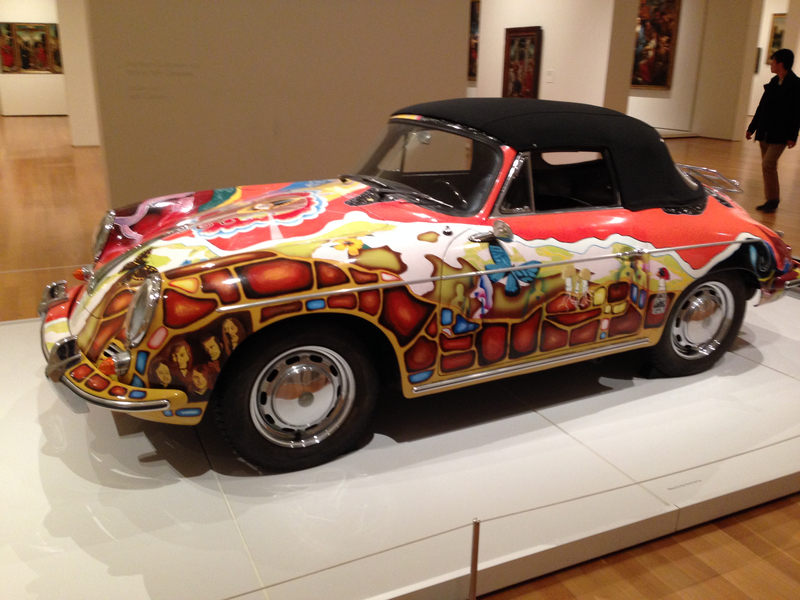 And Janis Joplin’s 1965 Porsche Type 356C Cabriolet with it’s restored custom paint job. Janis Joplin’s Cabriolet. Not your typical Earl Scheib paint job. Something for everyone. The curators do gloss over Ferdinand Porsche’s Nazi past and contribution to the German war effort. I understand it was covered during the Museum’s accompanying lecture/discussion series. Something for everyone. Click HERE to see my pictures on Flickr. Click HERE to see the official NC Museum of Art page. And thus endeth my pandering for this, the 29th day of January, 2014.